Location, location, location! 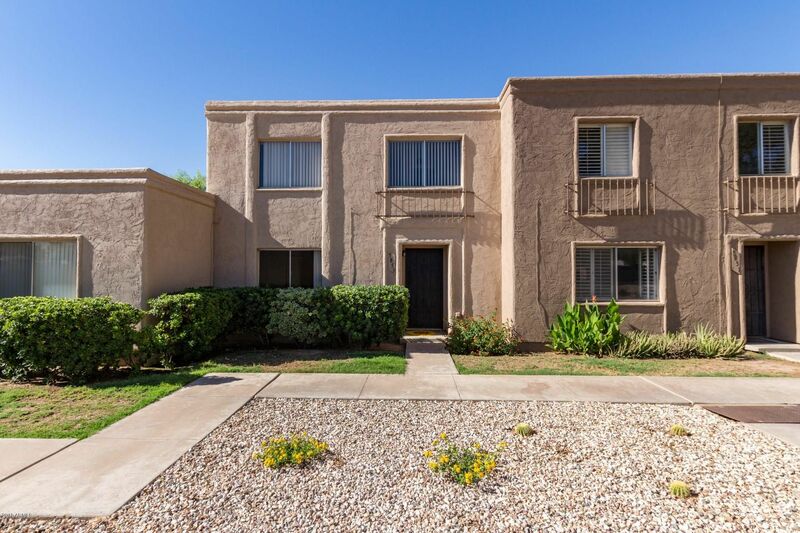 Take a look at this classic townhome in the heart of Scottsdale. Close to Old Town, shopping and restaurants, this newly updated 2B/2B features new Dunn-Edwards paint throughout, new carpeting, new ceiling fans, and new hardware. Upgraded USB outlets. Newly updated kitchen includes new custom quartz counter tops, new stainless steel deep double sinks, stainless steel appliances, built in microwave and adjacent laundry room with storage. Newly updated baths feature new custom quartz countertops. Storage, storage, storage with two closets in each bedroom, coat closet, and two hall closets. Open living/dining floor plan. French door entry into private patio, where you'll enjoy some sun and lovely foliage, includes a storage shed.